Jetta and her parents are a troupe of traveling shadow players wandering their country and putting on stunning performances with puppets that look like they have no strings or sticks to move them around. The truth? Jetta has a magical ability to see the souls of the dead and harness them to objects, like her shadow puppets. Because magic is forbidden, she and her family keep the truth hidden and are determined to secure passage across the sea towards safety and a potential cure. But their carefully laid out plans are all thrown into chaos when they cross paths with a young smuggler, gain the attention of the military and find themselves forced to make some difficult decisions. I liked For a Muse of Fire alright. It had an interesting blend of Western and Eastern culture influencing the world’s details, though it was very overwhelming to make sense of it all at the start. It also mixed formats — regular chapters, scenes from plays, letters - which was an interesting narrative direction to take. And I’ll admit that, as I read, I was mildly curious to find out where the story would go. But even though I thought it was a solidly enjoyable book as I read it, it wasn’t one that really stayed with me. I wasn’t particularly invested in the characters and their journeys, nor do I find myself particularly desirous of picking up the next novel in the series. Still, I can see why other readers might enjoy this one — so if you’re interested in this story, I’d say to at least give it a shot. Favorite play? My favorite play that I've read is probably A Midsummer Night's Dream by William Shakespeare (though really, I just love Shakespeare plays in general). And my favorite that I've seen is a toss-up between Harry Potter and the Cursed Child or The Play That Goes Wrong, which are both extremely wonderful. The Boneless Mercies centers around a troupe of Boneless Mercies - girls who are taught and hired to deal death efficiently and mercifully. Frey and her companions Ovie, Juniper and Runa have spent years as Mercies, but all are weary of being involved in the death trade. When they learn of a ruthless monster whose death would ensure their fortune and fame, Frey determines that this is the path that their group must take... no matter what other situations they find themselves in along the way. Before I share any more thoughts, I must say that I'm not as familiar with the original source material - Beowulf - as I'd like to be. But even so, I really enjoyed The Boneless Mercies. It was fun to read a story where women comprise majority of the cast of characters. It was also the sort of fantasy novel that documents a journey the characters go on - not just internally, but also externally - with all sorts of obstacles and reprieves, and as I'm a particular sucker for that type of tale, I liked that part a lot. It was definitely an engaging story, and I found it hard to put it down once I started reading it! It's definitely a strong stand-alone fantasy offering! While I don't think I'd return for a reread, I'd say it was definitely worth checking out. Love these reviews. 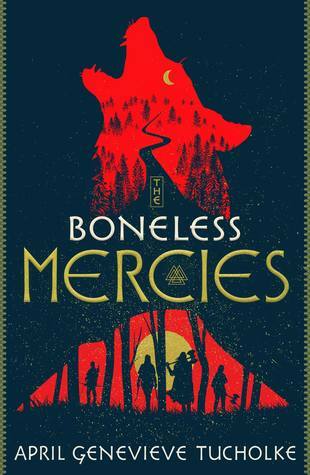 I've just started Boneless Mercies and I can't wait to get further in. 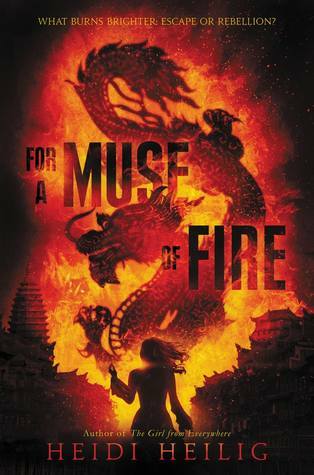 I love April Tucholke's writing and I'm excited to see her take on a fantasy! Glad to hear you enjoyed it!